← The Home Grown Food Summit: Online Free! 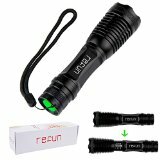 Interested in cheap LED flashlights? How cheap? I was surprised to discover that there are flashlights that cost several hundred dollars, used in law enforcement and for tactical applications particularly. Should You Have an Everyday-Carry LED Flashlight? Want to cut to the chase? Here are five that are very popular, well-regarded, and of course inexpensive. They all had thousands of reviews! Click on the image or the title link to find out more at Amazon. Since LED flashlight technology is based on computer chips, improvements come fast. LED stands for light-emitting diodes, and they are used in many illumination sources, not just flashlights. 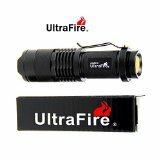 They are very durable, good for flashlights where you need reliability and long life. They are very energy-efficient and long-lasting. A useful feature is that when after thousands of hours the LED unit is wearing out, it won’t just go completely off like old-fashioned flashlights… it will just provide a dimmer light over time. They contain no toxic chemicals. They fuction in extremely cold and extremely hot situations. The moment you turn on an LED flashlight, you have its full light without a pause. All in all, pretty cool! 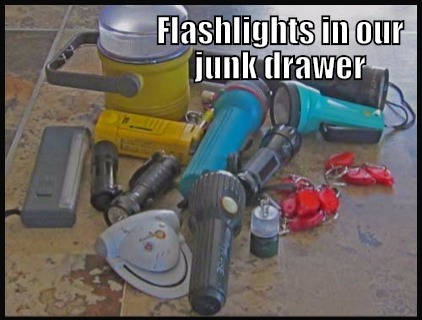 When I cleaned out the flashlights in our junk drawer, I discovered that we had quite a few pre-LED ones. Some of those go back decades and ended up in the trash. The smallish turquoise one on the right was a pump-the-handle flashlight we thought was so great when we got it maybe 20 years ago, but it wouldn’t work at all now. Lantern: The light spreads out so several people can use it at the same time, like this set of two. Tactical: This term is commonly used regarding using a handheld flashlight in conjunction with a weapon (often mounted on one) but it can also be by itself for self-defense. You don’t have to clobber someone with it; you could also shine it in their eyes or use it to see what’s going on. In considering the brightness of a flashlight, consider the lumens measurement and also how far the beam extends. Some flashlights allow you to choose from two or more brightness settings. But will there be some cheap ones with that feature? What are lumens and why should you care? The lumens tell you how intense the light is, measured when new batteries are in a flashlight, so you can look at the numbers and compare one flashlight to another. The higher the number of lumens, the higher the price may also be. A good reflector in the flashlight will also improve the light. One article I read compared the amount of light coming from one birthday candle to one lumen. For everyday use around the house, even lumen settings under 100 will do, but for things like search and rescue the lumens can be into the thousands. Here’s an interesting example of price and range: the same flashlight with different lumens and different prices. I’m getting the 190 lumens one, as at this time it’s definitely a better deal than both the brighter and dimmer ones! The two disposable battery sizes you’ll see most commonly are good ol’ AA and AAA. The CR123A is also used, as it produces a lot of light for a being so tiny… good for very small flashlights. The larger C and D batteries are much less common nowadays but are sometimes seen. 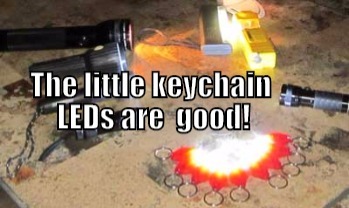 Rechargeable batteries are lithium-ion and won’t necessarily work with all LED flashlights, so check your specs. They are sometimes built into a flashlight which you then recharge with the batteries in place. Should you use disposable or rechargeable? I would make a case for having both. It’s easy enough to stock up on AA and AAA batteries for a variety of uses. They are not as ecological as rechargeable, but choose whatever will make you sure of having a working flashlight when you need it. These features have to do with where and how you plan to use a flashlight. 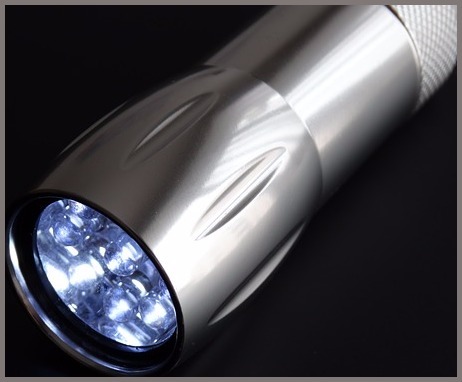 Here’s an article on more features in choosing flashlights. I prefer small and lightweight for most uses. Here is where we have flashlights. If you have a larger house than we do, you’d likely want them in more rooms. If you have babies or children, you’d want some handy for checking on them and the kids would want their own too. A guest room? Another good spot. Anywhere else in your world? In a big plastic drawer in our laundry room/mudroom. The drawer is labeled “Flashlights and Small Tools,” and it’s right by the back door. Most of the ones in the photos are in there, handy if we go out back after dark. A hand-held one that has a magnet is on the refrigerator. This is my husband’s go-to flashlight. A hand-held LED flashlight right by our bed, mainly for emergencies. A keychain type LED flashlight is the one I grab in the night if I need to check on a pet or get something out of a drawer. It’s in the hall just outside our bedroom, where its light wouldn’t wake my husband. I have a keychain type in my everyday fanny pack. I have another keychain type on my car keyring and a third in the purse I use sometimes. My husband has a keychain type LED in his fanny pack. There’s a handheld in our car, and another in our pickup truck. In our motorhome we have a long, heavy LED handheld Maglite by the bed, plus two or three little LED flashlights in the junk drawer. There’s a keychain type on my keyring for my motorhome keys. That’s about it for us. But in making the list, I thought of three more places to put one! Yes. It can be handy in so many ways, from finding something small that fell on the floor to scaring off attackers. The one on your cellphone might be enough for things like reading maps but it’s not really bright and chances are you don’t want to use up its battery for lighting. Think hand-held LED, aluminum casing, 100 lumens or more, reliable brand. People don’t think of flashlights as weapons so that gives you an advantage should it be needed. I’m adding a small but very bright and quite cheap tactical flashlight to the stuff I take with me when I go out after dark. This one comes in black and several colors. I’m getting an orange one, easy to spot in my purse or pack. I picked out some and linked to them at the start of this article. 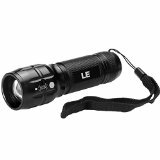 Also, here’s a link to the best-selling flashlights and accessories at Amazon, which gets updated every hour. Have fun looking around! Before I did this article, I didn’t realize the great variety available. Good for gifts too.